July 2, 2018 — July 24th is recognized nationwide as National Cousins Day, which is a day when cousins are encouraged to reach out and celebrate their relationships and family connections. This July 24th, an Indiana transplant family will definitely be celebrating this day with Cousin Kassidy who recently gave Mighty Max his new kidney and his second chance at life. 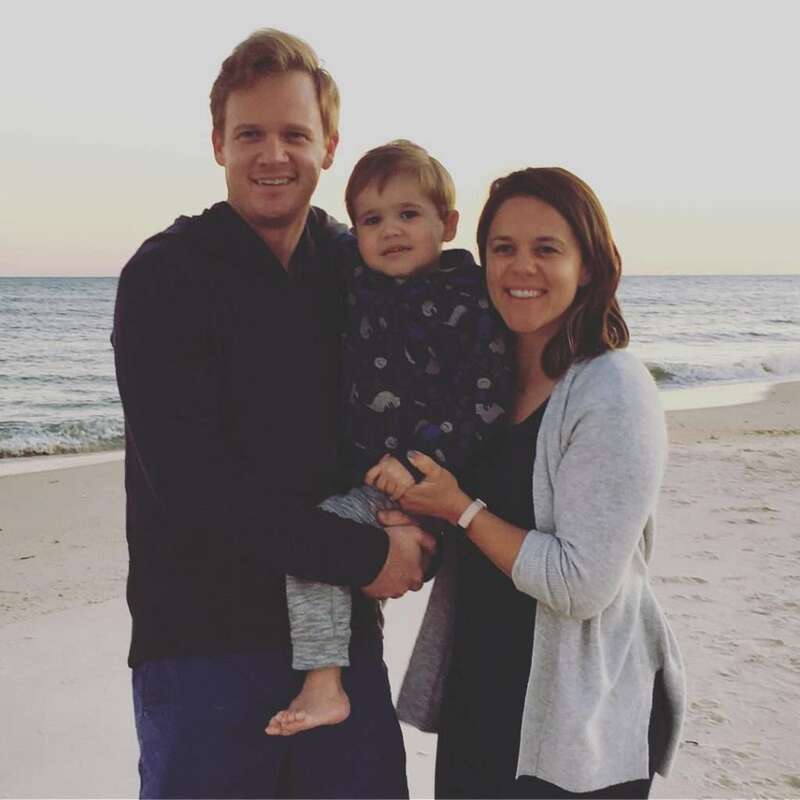 Ryan and Kye welcomed Max Berlyn Heffernan into the world in August 2014; these first-time parents were excited to finally meet their bundle of joy face-to-face. After a fairly fast and textbook delivery, that joy quickly turned to fear when they realized something was not quite right. While Baby Max was indeed breathing, he could not take a deep breath nor could he cry a big cry. He was also quite puffy and appeared to be full of fluid. The NICU team rushed in and Ryan, Kye and their family members who were there to meet the new baby waited for hours to hear what was wrong. When the news finally came, it was not good – Max had been born with Posterior Urethral Valves (PUV). PUV, which appears in 1 in 5,000 to 8,000 baby boys, is a blockage of the urethra in utero that causes the baby’s urine to back up into the kidneys instead of being voided through the urethra and into the womb in the form of amniotic fluid. The lack of amniotic fluid causes the lungs to be underdeveloped and the urine backing up into the kidneys can poison them to the point of rendering them useless, which is what happened to Baby Max. It was decided to transfer Baby Max to Riley Hospital for Children where the pediatric kidney specialists also diagnosed the newborn with Bilateral Grade 5 Vesicoureteral Reflux, Bilateral Grade 4 Hydronephrosis, Bilateral Hydroureter, Bilateral Hydrocele, Chronic Kidney Disease, and End Stage Renal Disease. As a result of PUV, his kidneys did not work nor did his bladder. Ryan, Kye and Max spent 69 days in the Riley NICU. Many times during that agonizing NICU stay, Kye and Ryan heard that Max was one of the most serious and complex cases the neonatal nephrology team had ever seen. Kye and Ryan used this inpatient hospital stay to learn as much as they could about his condition and how to care for him at home. Max started around-the-clock peritoneal dialysis treatments on day 10 of his life, slowly working down to 14-hour treatments by the time he, Ryan and Kye got to go home from Riley on October 31, 2014. Max did fairly well once at home with his nightly eight-hour dialysis treatments and his twice-a-day catherizations to relieve his bladder. He also received weekly physical therapy, occupational therapy and approximately seven daily medications including a daily growth hormone injection to make up for his lack of kidney function. Max’s at-home care was a full-time, around-the-clock job that caused immense stress and worry for Ryan and Kye. On December 22, 2015, Max finally reached the height and weight requirements and was able to be listed for a kidney transplant. Ryan and Kye were beyond excited to start this new chapter of their family’s transplant tale. In January 2016, potential donors started the testing process. In March, a family friend told them about the Children’s Organ Transplant Association (COTA). COTA uniquely understands that parents who care for a child or young adult before, during and after a life-saving transplant have enough to deal with, so COTA’s model shifts the responsibility for fundraising to a community team of trained volunteers. On March 15th Kye and Ryan officially decided to become a COTA family, and on April 18th a COTA fundraising specialist trained the volunteer leader for the COTA campaign in honor of Max H. COTA is a 501(c)3 charity so all contributions to COTA are tax deductible to the fullest extent of the law, and COTA funds are available for a lifetime. A kidney transplant is very expensive with the transplant procedure itself costing close to $500,000. While Kye and Ryan are thankful they have good health insurance, they were not naïve to the possibility that one or both of them would have to take an extended leave from work to care for Max after the transplant. As for most families, this would add a financial challenge for their household and would add even more stress. In addition, the knowledge that COTA funds would be available for a lifetime offered tremendous comfort. They well understood that not only would Max need expensive anti-rejection medications for his lifetime, but likely require a second kidney transplant at some point in the future since transplanted kidneys typically needed to be replaced after an average of 20 years. “The Children’s Organ Transplant Association (COTA) provides hope for us not only in the present tense but also for the future. We are so grateful for COTA, which has allowed our friends and family to feel there is something they can do right now to help make sure Max has a future that does not include financial stress on top of the stress of fighting a chronic disease. COTA gave all of us an opportunity to launch our energy into something positive during a time when we felt everything was out of our control. Once people find out about COTA we always hear, ‘What an amazing organization!’ and we could not agree more,” said Kye and Ryan. Adding to the expense of Max’s transplant journey was the family’s decision to have his kidney transplant at the Cincinnati Children’s Hospital Medical Center, which is over 100 miles from their Indianapolis home. Numerous reasons led to this decision and it turned out to be the right one for the family. Once the transplant team was selected, many individuals started the testing process to see if they were a kidney match for Max. In the end, Kye had three cousins and a sister who were all a match for Max and who were all willing to give Max a new kidney. 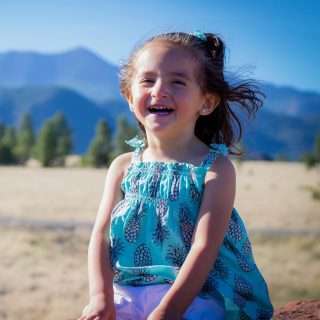 Life-saving, long-term dialysis does takes a physical toll on a child. In Max’s case the negative side effects of food aversion, lack of growth, and lack of energy all started to impact the toddler. Thankfully on February 28, 2017, Max was able to leave dialysis behind when he received his ‘shiny new kidney’ from Cousin Kassidy. On Mach 21st, less than a month later, the Heffernan Family returned to their Indianapolis home to continue Max’s recovery and start their dialysis-free life. Today as the family gets ready to celebrate National Cousins Day on July 24th and Max’s 4th birthday a few weeks after that, life is good. According to Kye, Max is doing great. The summer months bring great joy to Max who loves lawn mowers, weed eaters, wheel barrows and leaf blowers. He loves being outside and working outside! Max also is a big fan of his dog, Rudy, and his many tractors, cars and trucks. Kye and Ryan love watching their energy-filled Mighty Max enjoying the outdoors. They are forever grateful to Cousin Kassidy for her gift of life and to the Children’s Organ Transplant Association for their constant support and guidance. Happy National Cousins Day, Max and Kassidy, from your COTA Family!